After a few years of focusing mostly on her own highbrow directorial projects, it sounds like Angelina Jolie is finally ready to get back in the billion-dollar blockbuster movie game, potentially lending her talents to one of these new-fangled “Marvel movies” that have overtaken the planet in the last 11 years or so. 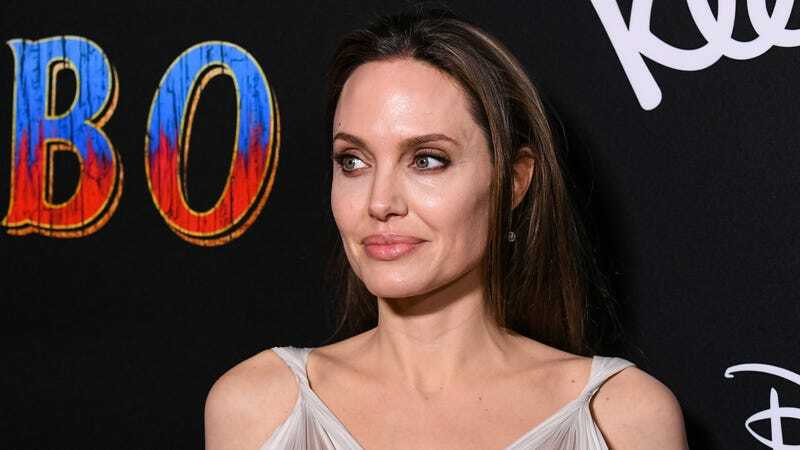 Variety reports that Jolie is in talks to star in Marvel’s The Eternals, who are not The Inhumans, which is something we just know we’re going to have to remind ourselves of over and over again for like the next five years. Anyway, The Nouns are one of those secret societies of superhumans that exist all over the place in the Marvel comics universe, ancient superheroes representing big, god-ish concepts like war and death. (That whole “New Gods” thing being a topic that their creator, the legendary Jack Kirby, would find himself drawn back to with a bizarre regularity in the latter part of his career.) They fight against another very similar group called The Deviants, Thanos was one of their alien…cousins(? ), we think? And they’re going to come to prominence in whatever happens in the MCU in the wake of next month’s Avengers: Endgame, with The Rider’s Chloé Zhao signed on to direct. Jolie, of course, is no stranger to big-budget genre fare, having just signed on for a second Maleficent movie, and spent her years in the shorts-wearing ersatz Indiana Jones trenches as Tomb Raider’s Lara Croft. There’s no word yet on which of the The Indomitables she might play, but female lead Sersi—who, Wikipedia helpfully notes, “is the only Eternal who is a fifth-level adept at matter manipulation”—seems like a safe-ish bet.